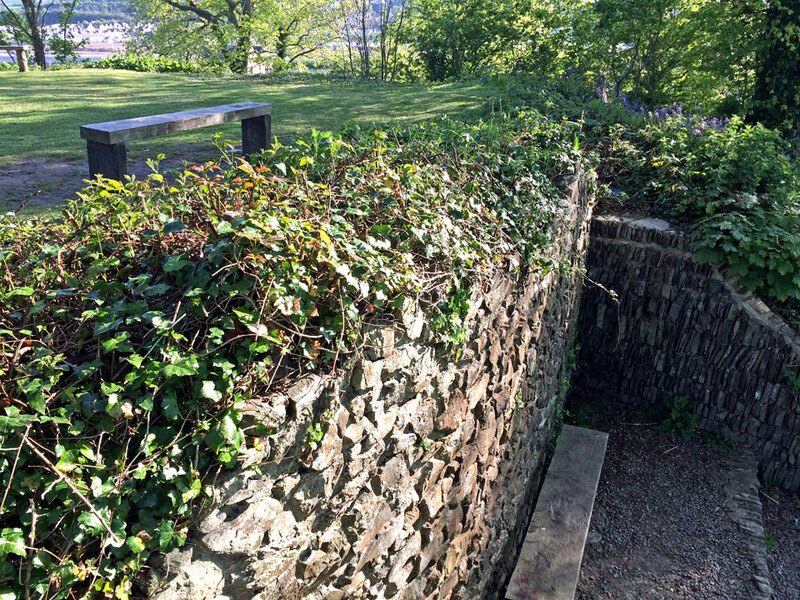 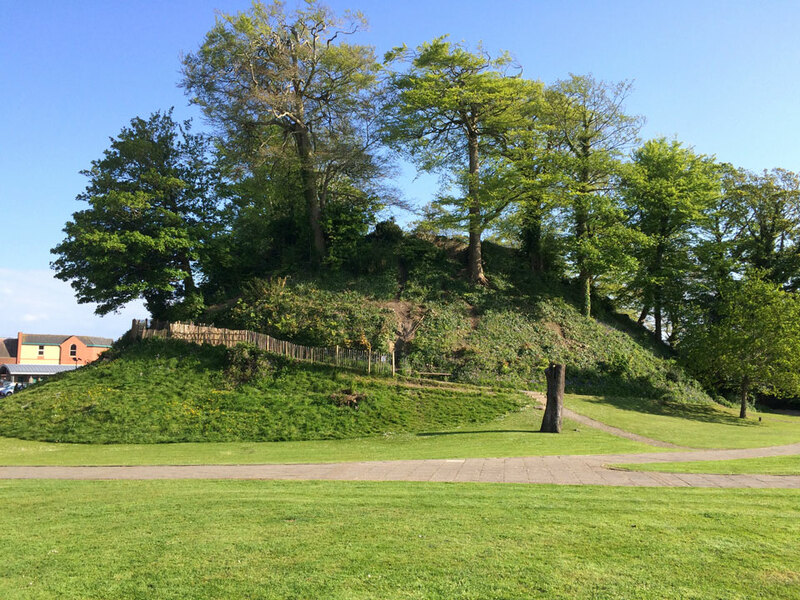 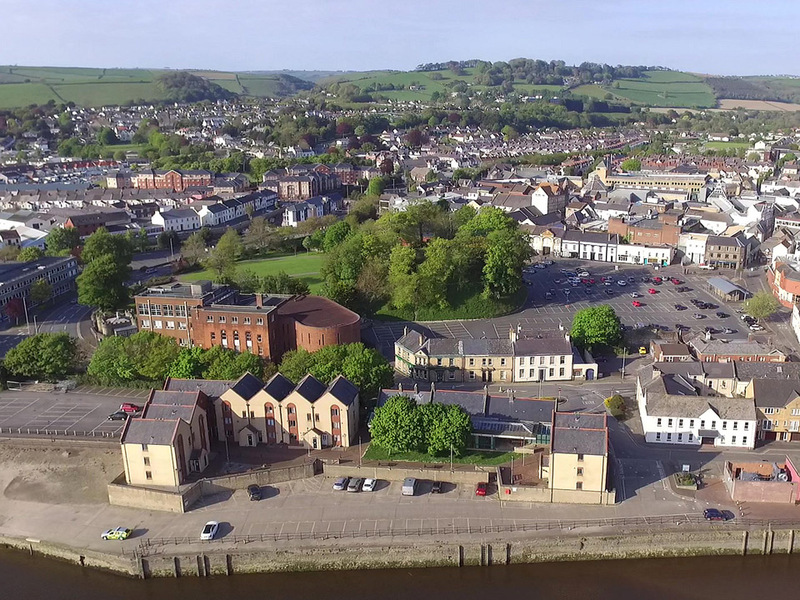 An early 12th century shell-keep on a motte, constructed by the builder of Totnes Castle. 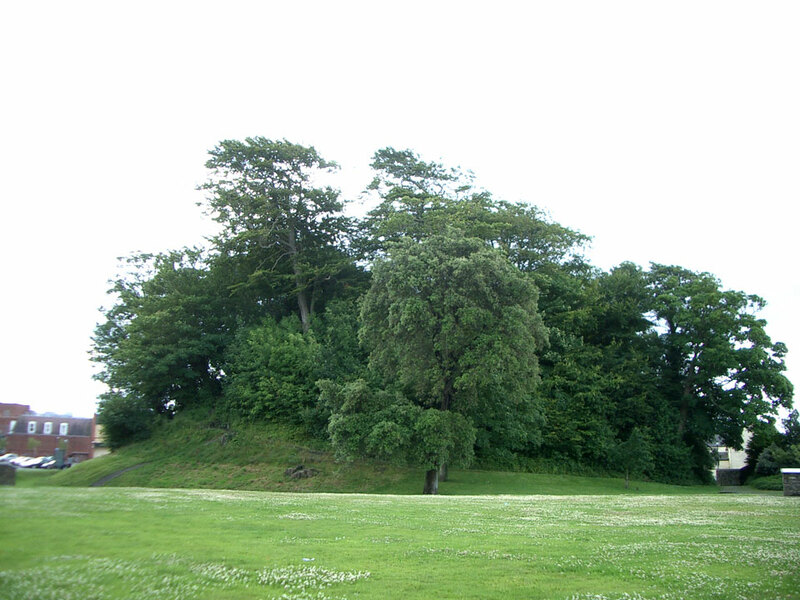 It was partly demolished in 1228, was in ruins by the end of the 14th century and by 1600 the last wall collapsed. 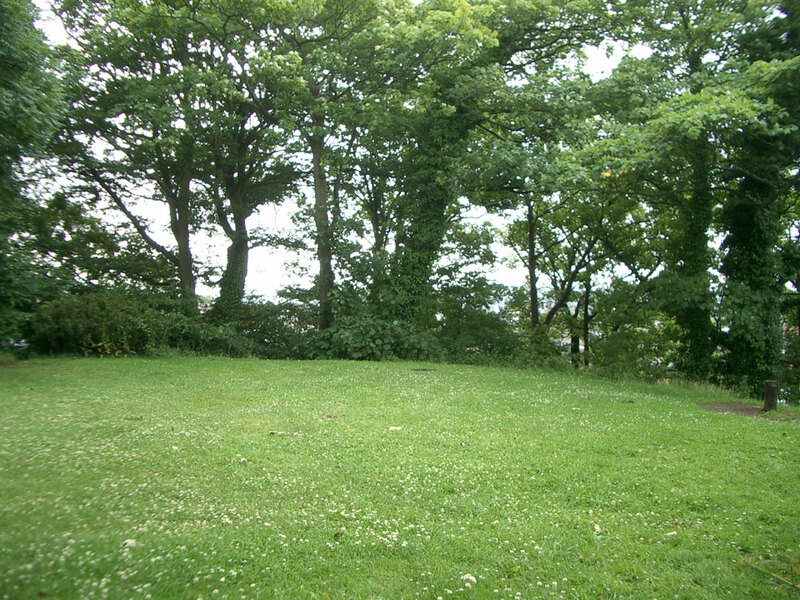 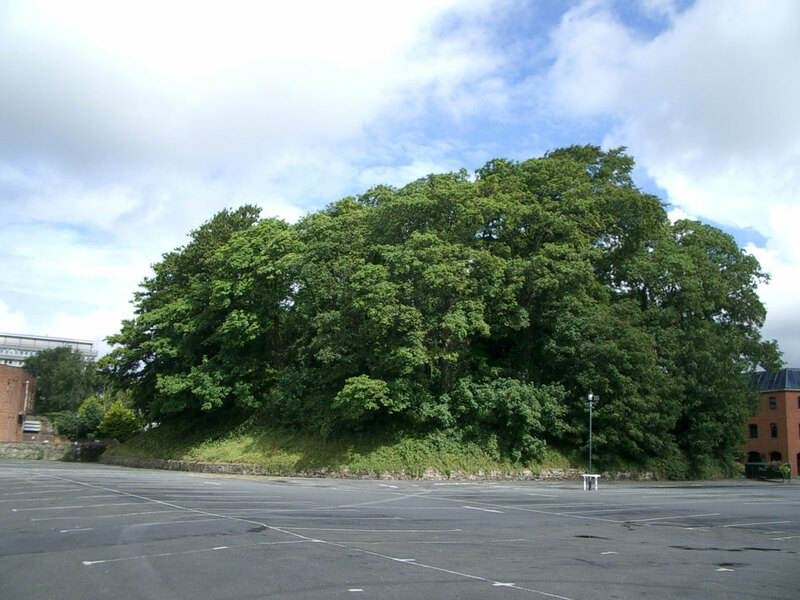 Only the tree covered motte remains with a few stones visible on the top in a car park.